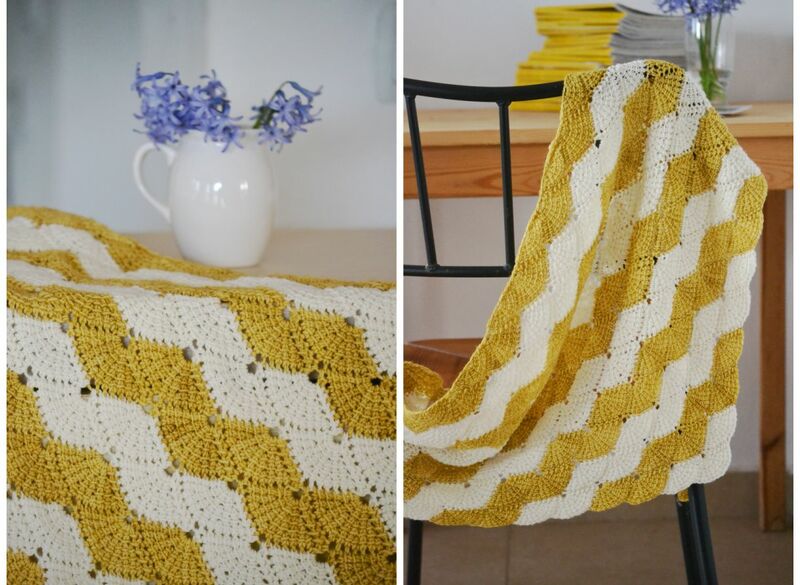 Cup of Stitches: PATTERN RELEASE: Tunisian Shell Shawl and a New CAL! PATTERN RELEASE: Tunisian Shell Shawl and a New CAL! Ready for a new Tunisian crochet shawl? Have a look at Tunisian Shell Shawl, a quick and glamorous project. The simple and very addictive shell stitch pattern does not require a special Tunisian hook. Just a regular crochet hook is all you will need! and a combo of the first two variations. The possibilities are, in fact, endless, because each shell element of the shawl can be worked in a new color. This stitch pattern also looks great in thicker or thinner yarn than suggested. To see the variety of Shell Shawls, we are hosting a CAL in our Cup of Stitches Group on Ravelry. If you need some basic help, find Tunisian crochet tutorials at www.msweaver.com/tutorials/tunisian-crochet/. And Yuliya and I will be available here throughout the CAL and will be happy to help you with your questions. See you there and happy crocheting! Wonderful shawl!!! I looove it! Gorgeous colors too! Visiting from Craft Schooling Sunday link party! Thank you for sharing!